INCOMPLETE: attempt to reproduce a potential bug, steps to reproduce aren't sufficient, yet. Or there is no bug. Have a standard installation with demo products. 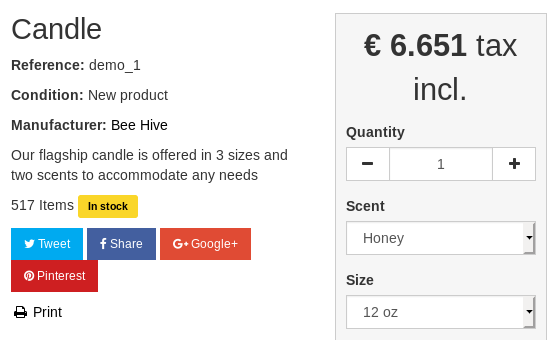 Go to back office -> Catalog -> Products, select the first product (Candle, demo_1). Select Edit on the first combination. Enter 5 Euros/Dollars with tax. 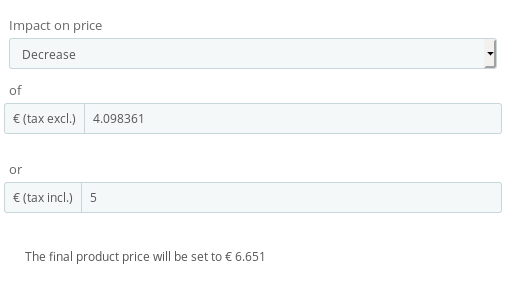 Note how the price preview shows the correct price. Click button Save at the bottom of the page. Front office shows the price previewed in back office. ... which is ... correct. Bug claimer can't come up with steps to reproduce the claimed misbehavior. As one can see above, the test case works as expected. In case there's nevertheless a reproducible bug, please don't hesitate to re-open this issue.